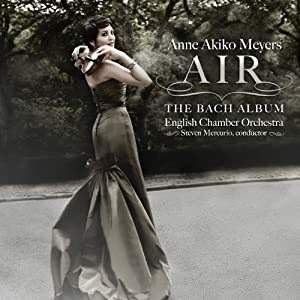 On Valentine’s Day this past February, violinist Anne Akiko Meyers released her newest CD, “Air” The Bach Album, featuring Bach’s A minor and E major Concertos, as well as the “Double” Concerto, accompanied by Steven Mercurio and the English Chamber Orchestra. This recording, which I highly recommend, debuted at #1 on the Billboard Charts and has been a best seller on iTunes and Amazon. It follows on the heels of other excellent Bach violin concerto discs by Hilary Hahn, Julia Fischer and Elmar Oliveira that have come out over the last ten years. This CD will be especially enjoyable for Suzuki violin students of all levels and their parents. Dr. Suzuki returns to the music of Bach throughout his repertoire, starting with the three Minuets in Book 1. 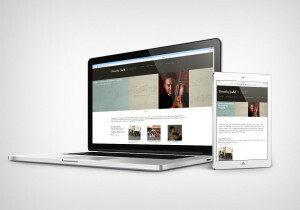 Suzuki includes the first movement of the Concerto for Two Violins, Strings and Continuo in D minor (BWV 1043), known as the “Bach Double” in Book 4. The rhythm of the first “Twinkle” Variation is actually identical to the opening rhythm of the “Double” Concerto. Later, the entire Concerto No. 1 in A minor (BWV 1041) is found in Suzuki Book 7. Even the youngest child who is not close to studying these pieces will benefit from hearing this recording regularly. Anne Akiko Meyers dedicates the CD to her 96 year old grandmother and to the legendary luthier, Rene Morel who died late last year. 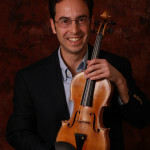 I was lucky enough to have Morel adjust my own violin, and I couldn’t help but think of his special gifts as I listened to the richness of the two Strads featured on the CD.